SOUTHINGTON - A Bristol man is facing charges after police say he was involved in a shoplifting turned robbery. Police allege that Jose Rodriguez, 30, pushed a Target employee on July 4, assaulted him and fled the store. He has been charged with one count each of third-degree robbery, third-degree assault and sixth-degree larceny. According to police, Rodriguez was in the Target retail store, located at 600 Executive Boulevard, when he took sockets, medical supplies, two carabiner clips and a multi-use tool, and put them in a backpack. He then tried to leave the store before he was stopped by a loss prevention employee. 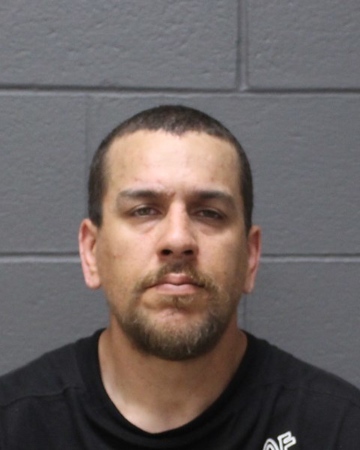 Rodriguez, police said, then left the store after the physical confrontation, which left the employee with a minor injury to his arm and Rodriguez with a minor hand injury. Police said Rodriguez was apprehended when police arrived, as he tried to escape on a motorcycle. He posted $10,000 bond and is scheduled to appear Monday in Bristol Superior Court. Posted in New Britain Herald, Southington Herald on Tuesday, 10 July 2018 15:36. Updated: Tuesday, 10 July 2018 15:39.